SANDY — Pine View’s Ethan Baer may have scored the goal of the year and teammate Michael Wade added another score to help the Panthers beat Snow Canyon, 2-1, Friday night in the 3A state semifinals at Alta High School. 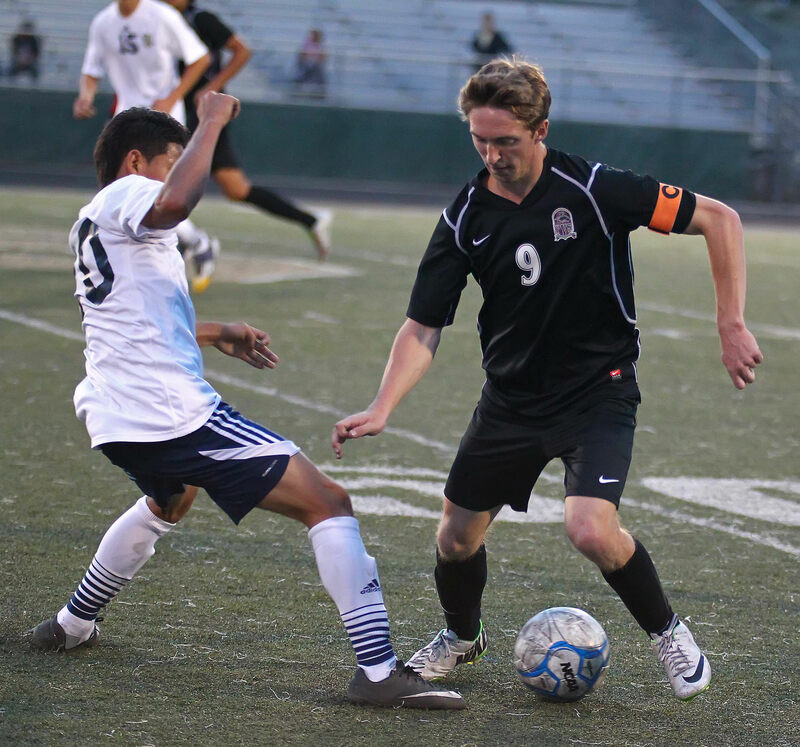 During a tense, hard-fought battle and Pine View clinging to a 1-0 lead, Baer came through big time in the 55th minute with a rocket seemingly from outer space. Baer took a free-kick from 65 yards away from the goal and arched it above the goalkeeper’s reach and just under cross bar to double the Panthers lead at 2-0. Earlier in the game, just before halftime, Michael Wade corralled a bouncing cross and zipped it far-post past the keeper to score the first goal of the game (35’). Johnston said Wade’s goal was the product of a well-executed play and good finishing. Things went from bad to worse for the Warriors after they went down 2-0. Moments after Baer’s goal, a hard foul was called on one SC defender and he was given a red card and dismissed from the game. Several SC teammates confronted the referee and another Warrior was given a red card, leaving Snow Canyon with nine players on the pitch for the remaining 20-plus minutes. The Warriors struggled for several minutes, but then seemed to rally around their shorthanded situation. SC hit its stride offensively, nearly scoring a couple of times before Kevin Guevera Chillin took a free kick just outside the box and sunk it in the bottom right corner in the 77th minute. SC then had a couple of great looks at the goal to tie the game, but ultimately Pine View goalkeeper Javier Gaona and company denied them. Johnston added that a sense of pandemonium took over in the final three-minute barrage. Pine View is set to play Region 9 rival Dixie today at 1:30 p.m. for the 3A state title at Rio Tinto Stadium.